AlexaUX is the idea which would be future of the Human Computer interaction. The computer can possibly do many things but it is just limited to few features and mode of communicating with computer only through Mouse and keyboard. This could make computer to do all the task just on the voice and gives you required work with good feedback. For us, importance is not only work done but how fast, easy it is done without any additional hard work. 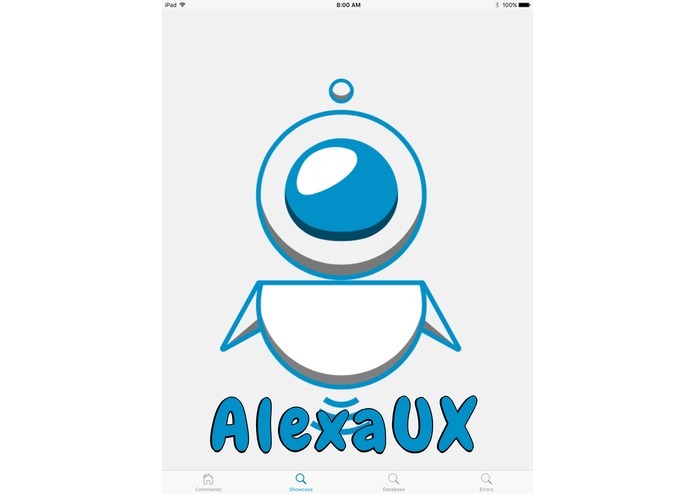 AlexaUX is currently deployed to build the web Site with Voice command using Amazon Echo. It is beginner stage but this could be used to teach the student how HTML and CSS works. It is easy, user-friendly and can be easily operated by the kid. It uses the Amazon Echo to listen to the user then work according to voice command like "Mr. Robot, please create a grid". It will show the real-time grid created on the Webpage. you need not worry about the HMTL and CSS stuff, AlexaUX takes care of it. All the user has to do is to concentrate on the design of the website. Built AlexaUX mainly out of Angular 2. We used firebase for our database. 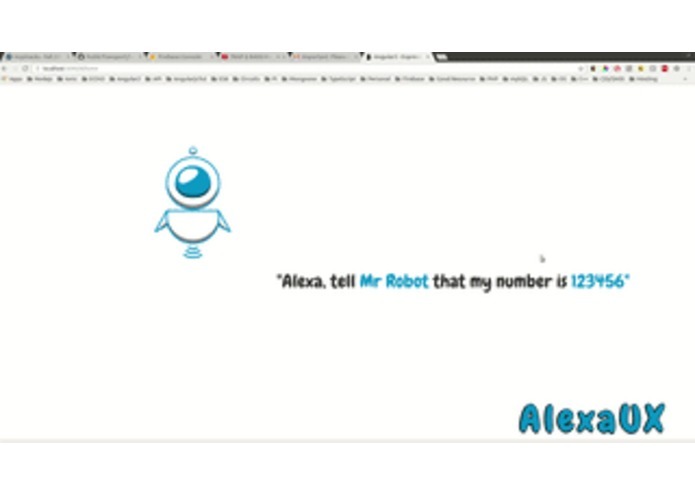 Alexa will talk to a lambda function that we set up using AWS. It will then contact the firebase and make the necessary changes depending on the voice input. 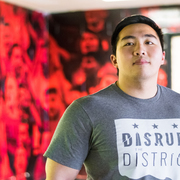 Our front end will then listen for any short of changes and grab that value that changed. Adding 1 or 2 feature is taking too much time but dynamic style coding both HTML and CSS for more than 2 features was challenging. But this challenge has created scope for various other features which are going to add in the future. We have broken the boundaries of the Amazon Echo by building a platform. The platform is used to control and create the webpage. We think it is game changer idea and we have simple Idea "Everyone has the opportunity to create their Website just by using Voice Commands". it's our motive "everyone can create website no programming is needed", it should be as easy as preparing the coffee. We came in as a booty css user to a professional graphic designer lol. Learning animations, transformation, etc was weird at first. we are going to integrate it in various fields like Medicine, Space Research and other fields. The AlexaUX will not only create advance, bootstrap, responsive and 100% working website within few minutes. It will also deploy the website on the servers by automatically configuring the servers parameters by just voice command. It will be used in the medical field where the doctor asks for something it will scan all the documents, database, previous records and other stuff related to it. Display the result with just one and only question. We are also thinking to add the artificial intelligence and machine learning to it in the future. Created the Front end using Angular 2 and Ionic 2 for the mobile. Nodejs All Day. AWS Lambda Functions for the lovely alexa. And Google's beautiful Firebase db with it's fabulous listener method.